Every year, hundreds of thousands of people flock to Park City, Utah, Sundance Mountain Resort, and the surrounding area to see the best new documentaries and films that directors from around the world have to offer. This year, the Sundance Film Festival boasts the most inclusive lineup they've had in a long time. A record number of films were submitted - over 14,000. Over 100 feature-length films of which will screen between January 24th and February 3 in Park City, Salt Lake City, and the Sundance Mountain Resort. Shearling: As pretty as it is practical, shearling boasts warmth paired with style this season and we're all for warmth. Pair function with fashion, and you get a bold look that makes a statement. Joan of Arctic Shearling Wedge Boots: These charming Joan Of Arctic II boots by Sorel® feature a subtle, two-tone design with shearling trim peeking through, and hidden wedges. Simone Shearling Vest: Cozy up to sublimely soft shearling in our dramatic, raw edge vest with an open front and deep, plush collar. Northern Woods Shearling Coat: Our legendary 'Northern Woods' coat is exquisitely crafted in lush, raw-edge shearling. Rustic elegance and unrivaled warmth with corozo buttons and an inner tie for fit. Hat and Gloves: Utah just got rocked by a storm that brought over 18" of snow in the mountains. To say it's chilly is an understatement. Combat the cold with a hat and glove that serve its purpose - keeping you warm, but looking good. Maple Sugar Gloves: Delightfully soft cashmere gloves with tech-friendly fingertips feature soft, quilted sleeves for extra warmth or to wear alone. Siberian Snow Beanie: Beauty abounds in this soft-as-snowfall, cashmere beanie with elegant, faux fur pompom and tonal, diamond pattern. Shop our full collection of accessories here. Simple Truths Cashmere Sweater: The graceful drape of our 'Simple Truths' cashmere cowl neck sweater proves the true beauty of simplicity. Unrivaled elegance abounds in this timeless piece. Totes and Carryalls: The film festival takes place in three different locations in Utah, each more than 30 minutes from one another. If you're jet setting around town every day, it's important to be prepared. Our collection of bags will do the trick. 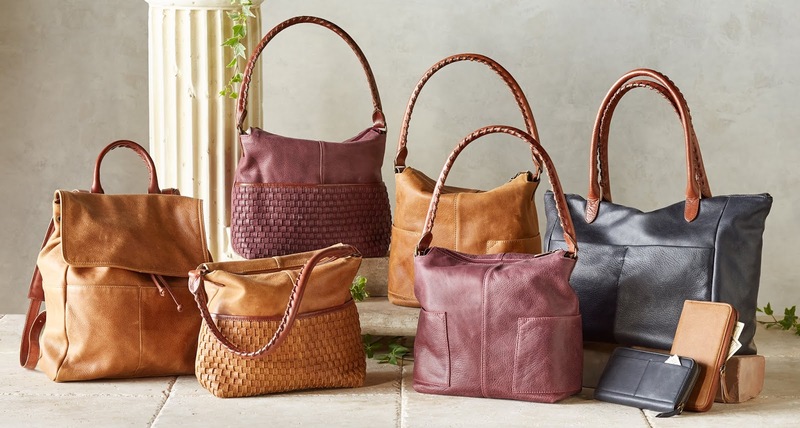 Each handmade bag at Sundance boasts incomparable style and craftsmanship with a keen eye for detail. A vintage-style leather handbag sets off your look – you’ll love the way our unique bags play off your shoes and other accessories. Or choose an elegant clutch or wallet as a perfect less-is-more solution. Find the just-right accessory among our unique handbags and handmade purses. Simplicity Bag Collection: Timeless design and thoughtful details elevate our classic 'Simplicity' collection. Backpacks are trending right now, while the classic silhouettes of the other pieces in the collection make an equally impressive statement. Shop all of our bags and accessories here. Whether you're here for the culture, the films, the panels, or the art, the Sundance Film Festival has something for everyone. Looking your best from day to night is easy with the right statement styles. Stroll the streets of Park City in Sundance fashion. Shop our newest arrivals for winter now.